Anyone who has lived in the Twin Cities has likely traveled Highway 100 at one point or another. It is an often-congested highway which runs north and south through the western suburbs like Brooklyn Park, Golden Valley, St Louis Park and Edina, connecting 694 and 494. Its origins go back much further though, back to when it was just a dirt road and later took shape under the Works Progress Administration. And the roadside parks of Highway 100, known for their rock gardens and “Beehive” fireplaces, were part of what made this route special. The St. Louis Park Historical Society website states, “All but gone now, the roadside parks of Highway 100 were nothing less than a phenomenon – so much so that families came out to the highway just for the ride and the opportunity to picnic among the lilacs.” This was an era in which the advent of the automobile made the road-trip, or even the Sunday afternoon drive a cherished part of American history. 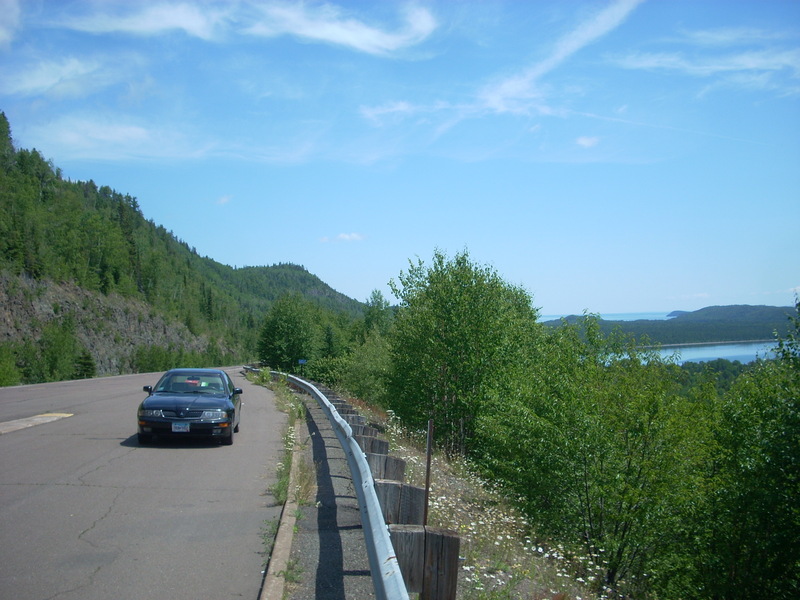 The Highway 100 stretch was the state’s first controlled access four-lane highway and was home to thousands of planted lilacs and seven original roadside parks, which contained WPA-built stone benches, rock gardens, and stone fireplace-type of grills, several of which were designed as “Beehive” fireplaces. However, over the course of many decades, Highway 100 was constantly expanded and many of these roadside parks were lost. 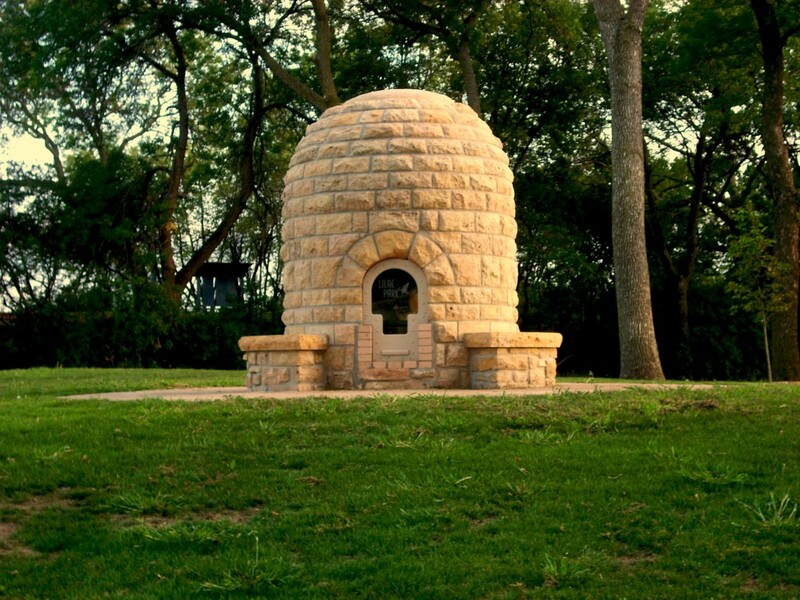 The most prominent Beehive, in St. Louis Park, was completely restored and dedicated in 2009. 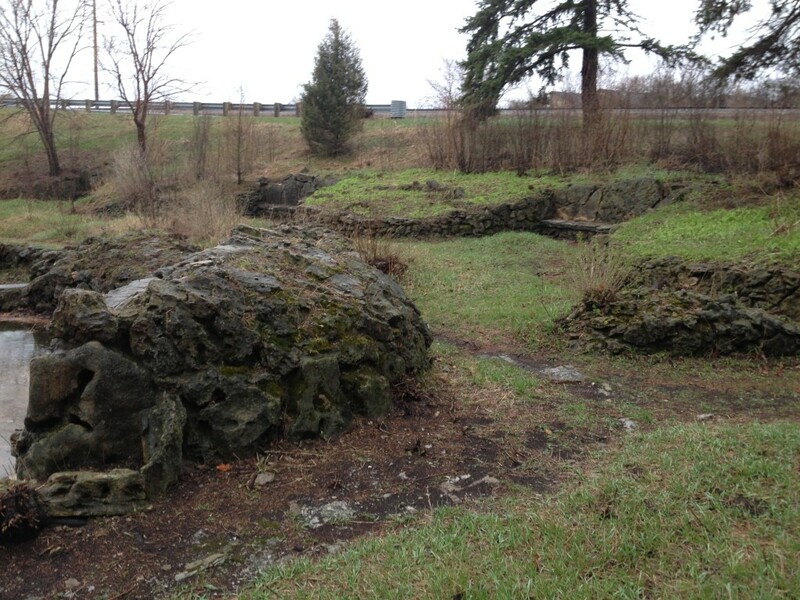 For years it had sat dilapidated in the former Lilac Park area, which was found on the northeast quadrant of the intersection of Minnetonka Blvd and Highway 100. In fact, very few of the remains of the original rock garden are still there, but the Beehive was removed in 2008 and completely restored. In July of 2009, it was moved to the new Lilac Park (formerly the St. Louis Park Roadside Park), at the intersection of Highway 7 and Highway 100, just south of the original location. The below picture shows the mayor dedicating the refinished Beehive. 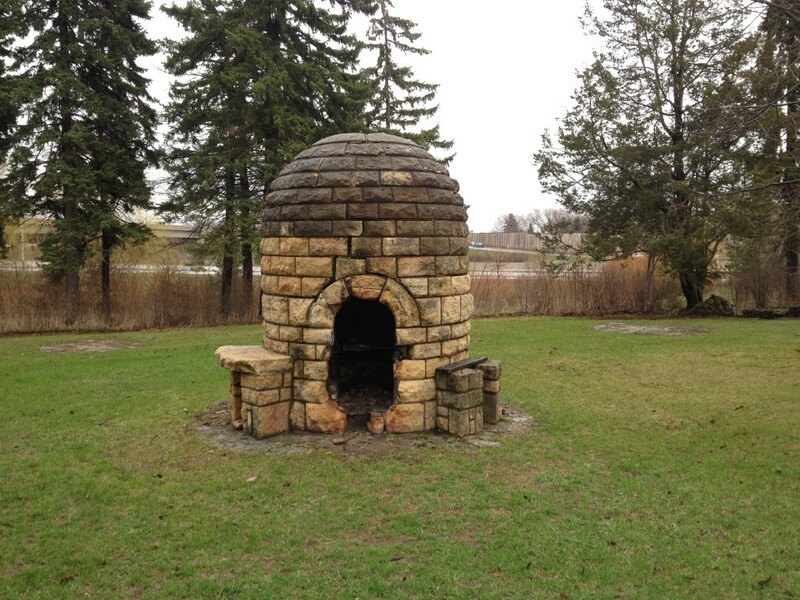 Although the Lilac Park Beehive fireplace can no longer be used for its original purpose, it serves as a historic and visual centerpiece for the roadside park, which sits on the popular Cedar Lake bike trail. 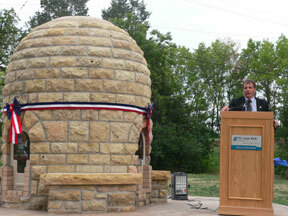 The Lilac Park Beehive is a great example of the preservation of an important part of the town’s history. The second Beehive fireplace is in a bit rougher shape and is still in its original location. 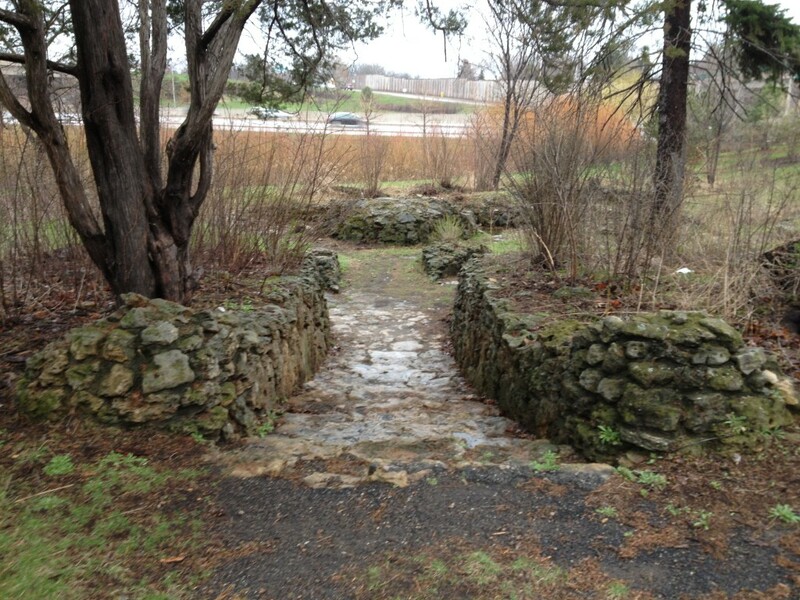 This one, found in Graeser Park in Robbinsdale, MN, about 10 minutes north of the St. Louis Park Beehive, and also features the original adjacent rock garden, which now sits only steps away from a busy off-ramp. The Beehive fireplace shows signs of use, while the rock garden seems to be more of a hidden gem than anything. It is still in pretty good shape, with its stone benches, steps, walkways, and ponds, and is a great example of the “Rustic-style” of cut-stone architecture common of the New Deal era. 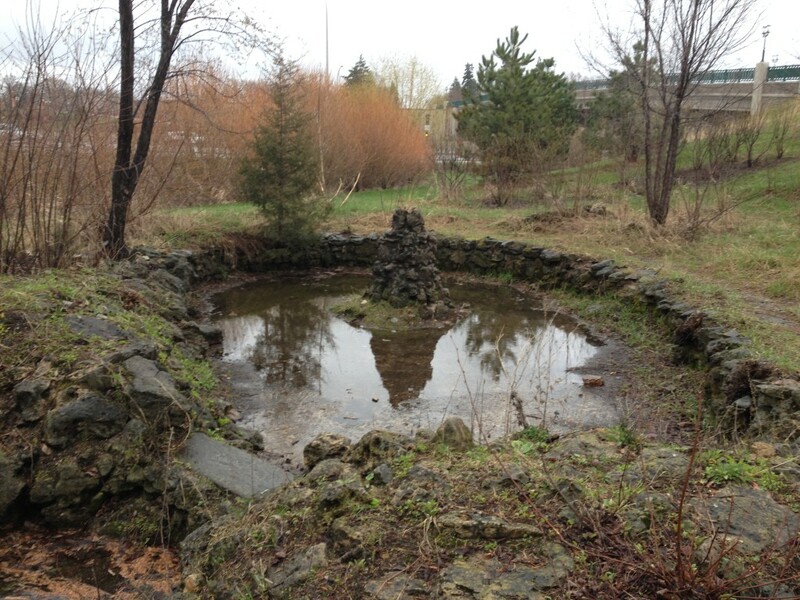 This roadside park is a fragile reminder of years past, while its future is largely uncertain. There is a campaign to save it, but with the ever-growing Twin Cities population, it may be just a matter of time before Highway 100 gets another lane or two, completely burying Graeser Park. The 12.5 mile stretch of Highway 100, formerly known as Lilac Way, was once the busiest stretch of highway in Minnesota, but it’s more or less a busy thoroughfare choked with traffic during rush hour nowadays. The St. Louis Park Historical Society has a great history on this storied highway which can be found here, along with more detailed descriptions on the Beehives and the long-forgotten history of Lilac Way. Seth: I love this article. That is the epitome of what these kinds of blog should be like! Obviously, there is the quirky, the unique, the offbeat, and other strange oddities. But, things such as these beehive fireplaces are unique interest because their common to just a certain area. I came across unique silos in North Dakota that kind of go along the same historical stories. I think these are part of the glories of traveling back roads and seeing the “real America”. Thanks David! . Glad you enjoyed it. The Beehives definitely have a unique background to them and are fun to see. Nice article. It was very interesting. I just want to point out that HWY 100 does not pass through Brooklyn Park, rather it goes through Brooklyn Center… The other Brooklyn. I always get those two mixed up. Thanks for pointing that out! That’s another story on how people mix the two cities up. I remember picnicking at the Robbinsdale park. There are a lot of good memories there for me! Cool, thanks for checking out the article! The Robbinsdale park definitely is a hidden gem. Remember when Highway 100 on the north end was replaced by Freeway 694. It went through Fridley and continued where 694 is now. This is an excellent article you have published! Back in the 80’s when I was in the single digits my family and I would travel Hwy. 100 from Brooklyn Park quite often, and I would always look over at the old Beehive grill in St. Louis Park while going south. I never got a chance yet to see it up close, but someday when I come from Duluth to visit my parents, I would like to stop at Lilac, and Graeser Parks and admire the pieces of historical treasures. I hope that the city of Robbinsdale will be inspired to do the same thing to their Beehive grill, instead of destroying it like they did to The Terrace Theater last year. Thank you for reading! I bet the parks were truly amazing in their heyday. Thanks for your comments! 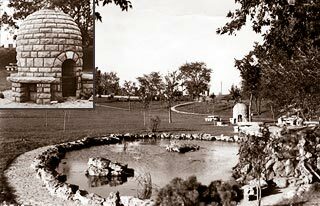 I am one of the people working to save the beehive and make sure Graeser Park gets restored, rather than replaced with new development (as you pointed out, like the Terrace). MnDOT is in the process of transferring the land back to the City of Robbinsdale. For more info, see the blog post at the Robbinsdale Historical Society (www.robbinsdale.org) and also http://www.restorelilacway.com. Born early 1950’s in Robbinsdale, my folks would always bring 9 us to these parks for a picnic and play. Good family time with no texting /cell phones for distractions by modern “communication” devices. The one thing which always bothered me was why would a picnic/play ground be located, w/o fencing or “BORDER WALLS” , right next to a major, BUSY, highway? Balls and Frisbee would always straddle over & onto these highways.